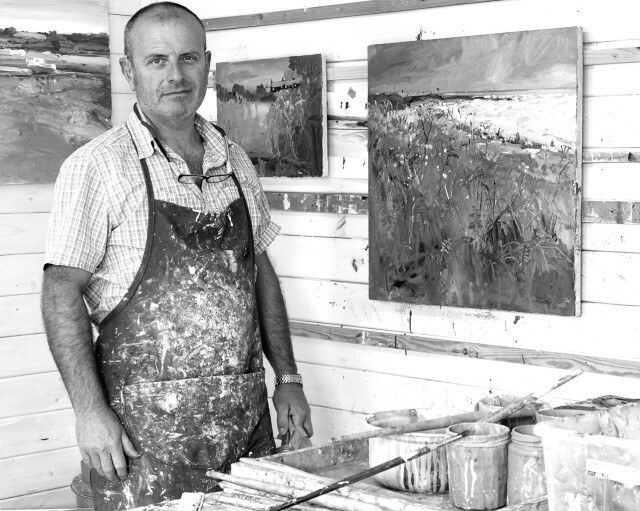 Robert Newton describes his work as “Painting Nature,” as a direct response to his immediate surroundings; exploring colour, composition and expression yet maintaining the very traditions of British painting. Making sketches as well his own visual notes Robert Newton paints intuitively and expressively with bold sweeping brushstrokes that sum up whole passages of his subject. Painting on location and in the studio, Robert often reworks paintings intuitively to produce a completed work.